"Royal Medic No. 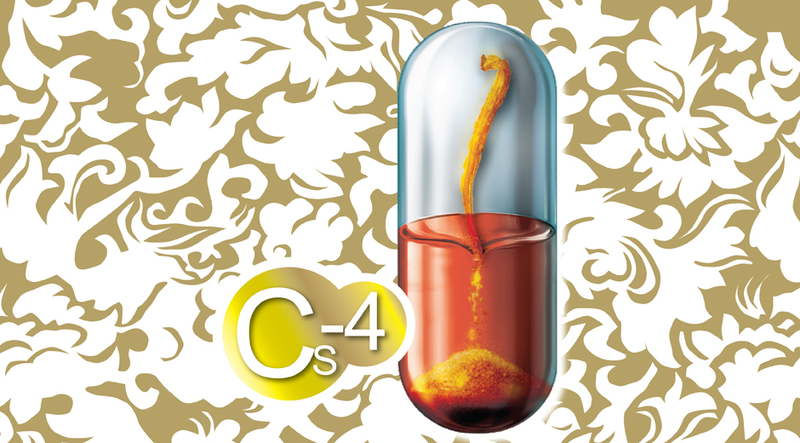 1 Chinese Cs-4" is made of Paecilomyces hepiali chen (Cs-4) which is fermented by the Cordyceps Sinensis (Berk) Sace Separated from the top-graded Chinese Caterpillar Fungus. Its active ingredients are of high concentration and good stability. The effectiveness is superior among fermented Cordyceps products. "Royal Medic No. 1 Chinese Cs-4" is particularly effective in improving the health of lung, liver and immune system, strengthening the kidney and upper respiratory tract, and improving sleeping quality. Top-graded ingredients are selected for "Royal Medic No. 1 Chinese Cs-4". With strict monitoring on production process, the quality and efficacy of product can be ensured. The institute of Chinese Medicine under a well-known university in Hong Kong published a preliminary clinical trial, proving that 82% of applicants consuming "Royal Medic No. 1 Chinese Cs-4" had improved insomnia. The study took 8 weeks by using a double-blind method, which ensured the fairness of the trial. The result showed that 82% of applicants consuming "Royal Medic No. 1 Chinese Cs-4" had improved insomnia, and the placebo group was found to have no sufficient improvement.